What do you want in your home?…somewhere to raise a family, plant a garden, watch birds nest in nearby trees, a place of tranquility and pleasure? You are embarking on the investment of your lifetime, the culmination of your hard labor, a sanctuary for you and your loved ones where memories will last a lifetime. What is it that you need to know before you begin this journey? 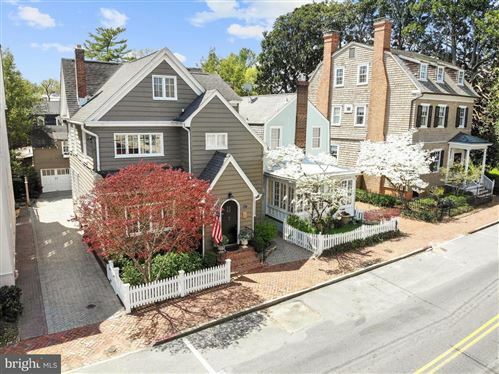 Let’s explore together some important aspects of buying Annapolis Real Estate! You have probably already listened to friends, family, and coworkers tell you about joys and woes of home ownership. As with everything else, the more you know, the less scary the prospect is. Here are reasons why you should consider buying a home. Pride of Ownership – “is the number one reason people want to own their own home. When you own your home you can do whatever you want: paint anywhere, any color, turn up the volume, attach any fixtures, and decorate completely to your liking. You experience a sense of stability and security for you have made an investment for the present and the future. Appreciation – Although real estate is somewhat cyclical, over the years it has consistently appreciated. Your home is still a hedge against inflation. Stable monthly housing costs build equity “As your principle payment amount increases, so does your equity. You as a homeowner can borrow against your home’s equity for a variety of reasons such as home improvement, college, or even starting another business by borrowing through a home equity loan at a much smaller interest rate that is tax deductible. Cons: 2 bedroom appeal on 1st time homebuyers, singles, or seniors. Cons: Don’t be misled. Layout is more important than square footage. Well designed smaller spaces can appear larger. Almost 80% of home searches begin on the internet. Homebuyers can search through hundreds of online listings, virtual tours, and photographs, as well as aerial shots of neighborhoods and homes. Define your goals (see next section below) and have a good idea of the type of home and neighborhood you desire. Make a list of everything that you want in your home so that when you reach my office, you are well on your way to home ownership. It should not take long for you to find your home with my help for I will listen to you wants and needs and arrange to show you only those homes that fit your particular parameters. These are all homes that I have previewed before showing them to you, as neither one of us has time to waste. Bring a digital camera to each home and begin a series of photos with a close-up of the house number to identify where each group of home photos start and end. Take copious notes and pictures of unusual features, colors, and design elements. Pay attention to the home’s surroundings. What is next door? Do you like the location? Is it near a park? Immediately after leaving the home, rate it on a scale of 1-10 with 10 being the highest. After touring homes you will instinctively know which one or two you would like to buy. I will take you to them again so you can see them with a much keener eye, noticing elements that may have been overlooked the first go-around. I will then find out more about the seller’s motivation and double-check that an offer has not been made – making sure that the home you have chosen is available for your purchasing. You will then make your offer based on all of the information I can give you and you have gathered in your inventory. Why choose me as your real estate agent? As a top selling agent I will guide you through this entire process from viewing homes and financing, to making sure the final contract is in your best interest and you are completely happy with your decision. I will insure access to all of the homes available for sale in the Annapolis and surrounding areas. My expertise of this locale should be invaluable to you, not just in terms of real estate findings, but also neighborhoods, schools, the local economy, and community outlooks. By having years of experience selling throughout Anne Arundel County, I am very familiar with the varied towns and neighborhoods and can offer my own unique perspective to your search. It is important that you have a real estate agent whom you can trust and count on to be there for any question or concern, all walk-throughs and inspections, and assist with negotiations and contracts. Allow me to be your representative in this life-changing decision. I will make certain that you know everything there is to know about the property you are buying, before the purchase is made. I, Warren Prins, want you to have your dream home, a place that meets and even exceeds your expectations. Together, we can make it happen.